For an upcoming workshop of Kalbelia dance I threw myself into sewing a costume. 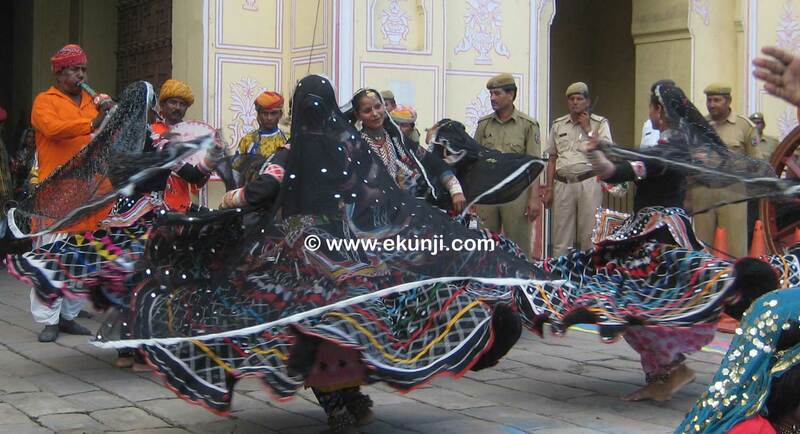 The skirt is the central piece as the dance is full of whirling and spinning (see the first picture). The diamonds are cut out from the fabric and basted. A narrow white ribbon will cover the edges later.